Harris County District Attorney Devon Anderson has admitted in a court brief that she violated Texas law in her quest to prosecute David Daleiden. 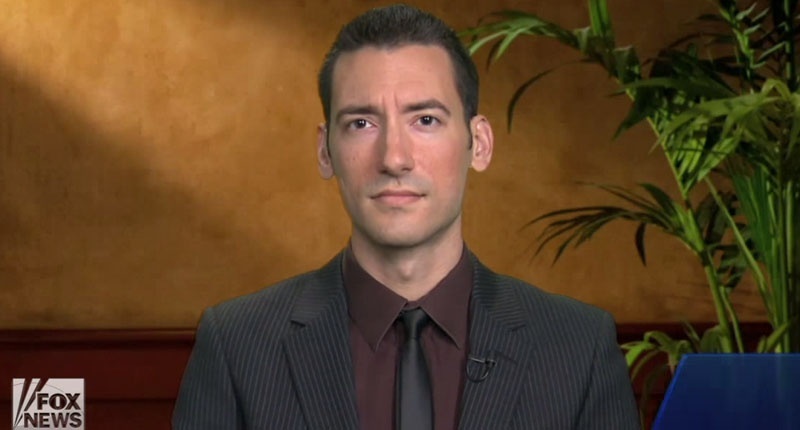 Daleiden, the leader of the Center for Medical Progress (CMP), was indicted in January by a grand jury that was believed to be investigating Planned Parenthood. The Associated Press reported that the grand jury never took a vote on indicting Planned Parenthood, and instead, indicted Daleiden and his colleague, Sandra Merritt, for alleged activities involved in their undercover investigation of the abortion chain. Daleiden’s attorneys filed a motion to quash his indictment, and Anderson filed a brief in response. In the brief, the DA admits that Texas law did not permit her to make Daleiden’s indictment public prior to him being “in custody or under bond.” Yet despite the directives in the law, Anderson sent out a public press release (which she forwarded to PP attorney Josh Schaffer on the same day) announcing Daleiden’s indictment. If the defendant is not in custody or under bond at the time of the presentment of indictment, the indictment may not be made public and the entry in the record of the court relating to the indictment must be delayed until the capias is served and the defendant is placed in custody or under bond. According to an affidavit by Planned Parenthood attorney Josh Schaffer, Anderson’s office informed him that a press release about the grand jury’s findings would be coming out later on January 25. This information, given to Schaffer in a private phone call he describes as taking place prior to the public announcement, indicates that the press release was a planned effort by the DA’s office. Additionally, the press release appears to have provided the public and the media with misleading information about Planned Parenthood’s claimed innocence. According to The Federalist, the DA’s press release specifically stated: “This grand jury cleared PPGC of breaking the law.” However, as a government attorney knows, it is impossible for a grand jury to “clear” anyone or declare them innocent. A grand jury simply decides to charge or not to charge, usually at the request of the prosecutor. Yet such a claim, coming straight from the DA – despite its inaccuracy – has proved to be a terribly useful narrative for Planned Parenthood who has repeated it again and again. In her most recent brief, Anderson compares her actions to two other Texas cases where indictments were allowed to stand. In one case, a typo was made, and in the other, it appears that the minutes recorded in court were not completely accurate. LifeSiteNews notes that it would appear Anderson wants to “present her entire press release as one enormous typo.” She also claims that the Texas law she admits to violating was “directory” rather than mandatory. Here, given that Defendant made no attempt to avoid apprehension and, in fact,voluntarily surrendered himself into custody just prior to his first court appearance, it is clear that the purpose of Article 20.22(b) — to prevent defendants from fleeing or avoiding apprehension upon learning of their indictment — was not thwarted by the fact that Defendant’s indictment became public before the warrant for his arrest was executed and he was placed under bond. In other words, according to Anderson’s arguments, if Daleiden had fled and “avoided apprehension” in Texas, her violation of law may not have been minor or harmless at all. But since Daleiden chose to follow the law – unlike Anderson – she gets to claim that her actions don’t matter at all.